No. 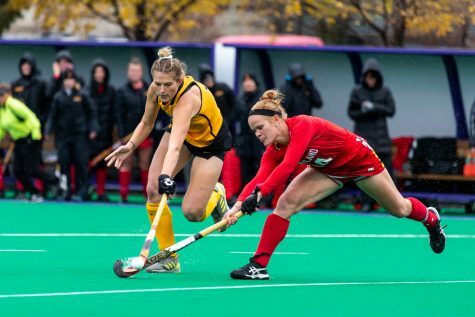 10 Iowa Women’s Field Hockey team battles No. 6 Michigan and No. 21 Stanford at undefeated Grant Field this weekend. 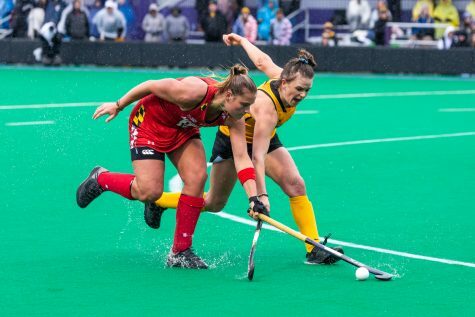 Iowa's Ellie Holley prepares a shot during a field hockey match between Iowa and Dartmouth College at Grant Field on Friday, August 31, 2018. 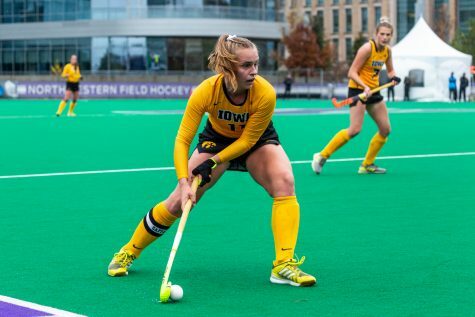 The Hawkeyes shut out the Big Green, 6-0. 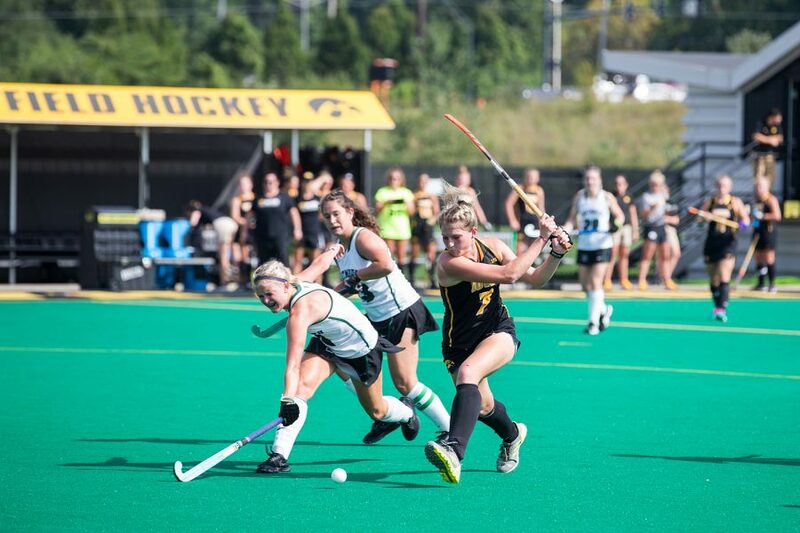 The Iowa field-hockey team has protected Grant Field well so far this season. 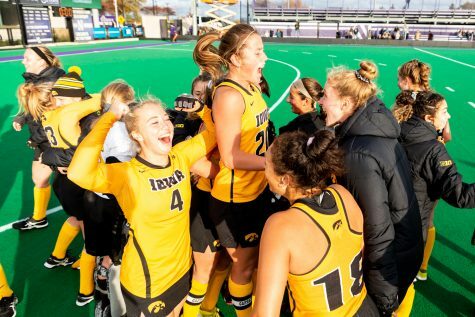 With wins already posted over Dartmouth, Ball State, Penn, and Indiana, the Hawkeyes will try to continue their undefeated home record against No. 6 Michigan and No. 21 Stanford this weekend. 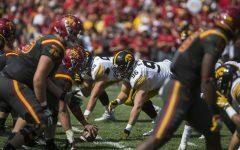 Iowa will play the Wolverines at 3 p.m. today, then battle No. 21 Stanford at 2 p.m. Oct. 7. 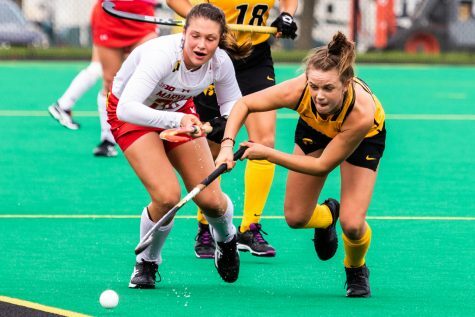 On Sept. 28, sophomore midfielder Ellie Holley scored a goal against Michigan State in Iowa’s 4-0 win, becoming the 11th Hawkeye to score this season. 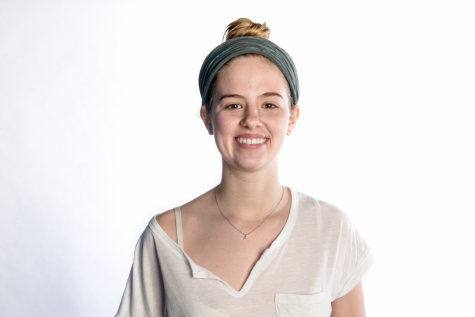 She takes pride in playing on Grant Field. 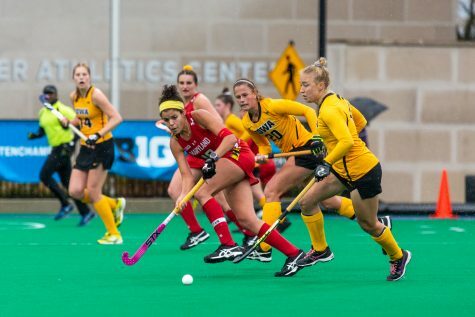 The Hawkeyes tallied their sixth shutout last weekend against Michigan State on the road, doubling the number of shutouts they had all last season. 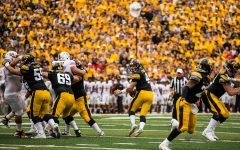 Coming off a dominant 2-0 weekend on the road will give Iowa momentum, along with the added advantage of playing at home. 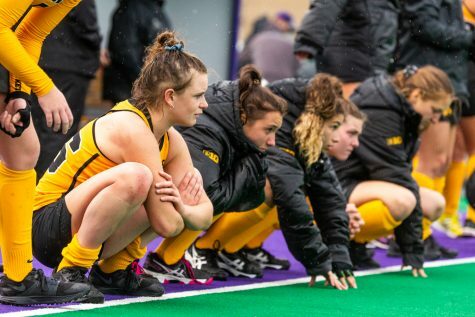 “When you step over that line with your teammates behind and in front of you, it’s just a feeling that can’t be explained,” senior Isabella Brown said. Michigan has a record of 8-4 and leads the conference, winning four of its five Big Ten matchups, losing only to No. 3 Maryland. 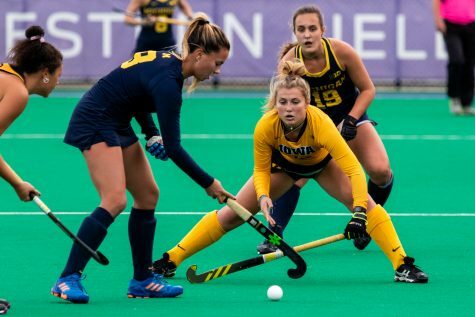 Senior Emma Way leads the Wolverines with 13 goals this season, the best in the Big Ten. 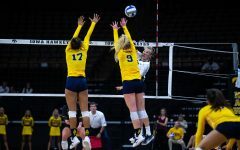 In the last eight matchups between Michigan and Iowa, the Wolverines have prevailed. On average, Michigan scores 3 goals per game, while Iowa’s average goals-per-game allowed is .64. No. 21 Stanford lost its first 3 matches, but it is now on a seven-game winning streak. 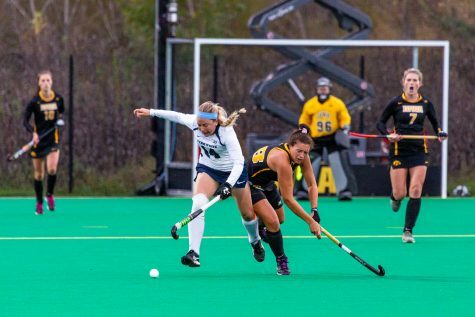 It has outscored its opponents this season 34-4, with sophomore Corinne Zanolli scoring 15 goals and tallying 5 assists. 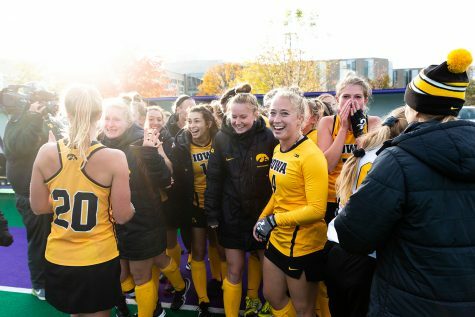 Last season, the Hawkeyes lost to Stanford, 3-2, on the road.